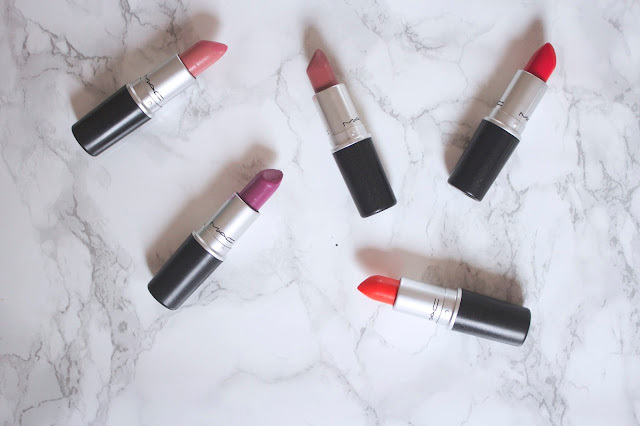 For today's post I thought I would pick my top 5 Mac lipsticks; I don't own too many lipsticks as I don't wear them too often (mainly due to forgetfulness) but these are probably my favourite ones! This is a Cremesheen finish, and I find it really easy to apply. This shade is one I reach for as an every day shade, it goes with lots of different makeup looks and because of the finish; it's really easy to just throw on. It's light blue-toned pink, which are my favourite kind of pink lipsticks! Next is "Faux" a satin finish, this was sold out online for a while as it was rumoured to be one of Kylie Jenner's favourite shades. Although this finish does seem to be less matte in comparison to the ones she seems to wear, it does seem a good match colour wise. As you can see by the picture, this finish is more creamy compared to Creme Cup and doesn't cling to any dry parts of my lips. I think this is a lovely shade, a deeper pink but one that can still be worn day to day. This is an amplified cream and is one of my favourite finishes as it is very moisturising. This shade is a blue-toned purple and is vibrant shade which can also be toned down into a more wearable shade. Morange is another Amplified Cream, this is an orange red and I absolutely adore this shade. I sometimes find it difficult to find a red shade that suits me and I think orange reds are often more wearable and less daunting than going for a bright red shade. This is my go-to red lipstick. It's a matte finish so it takes quite a lot of preparation for me as I have very dry lips, however it does last a lot longer than many of my other Mac lipsticks. I love the look of Faux! 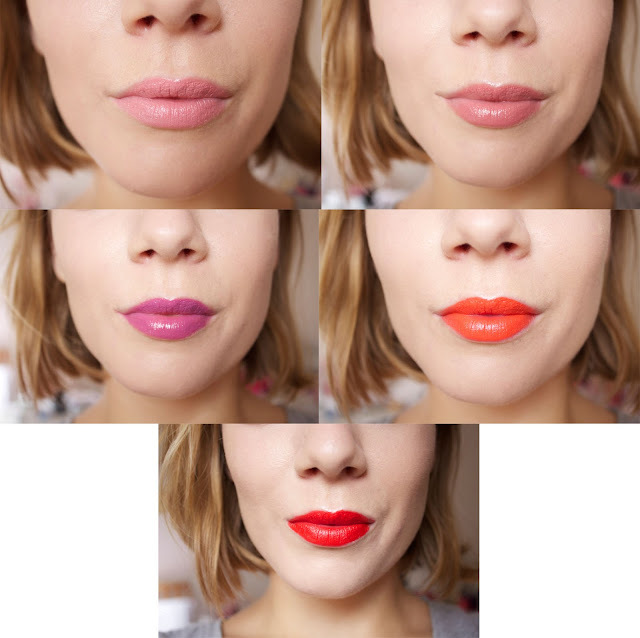 Such gorgeous shades, and they all look amazing on you!